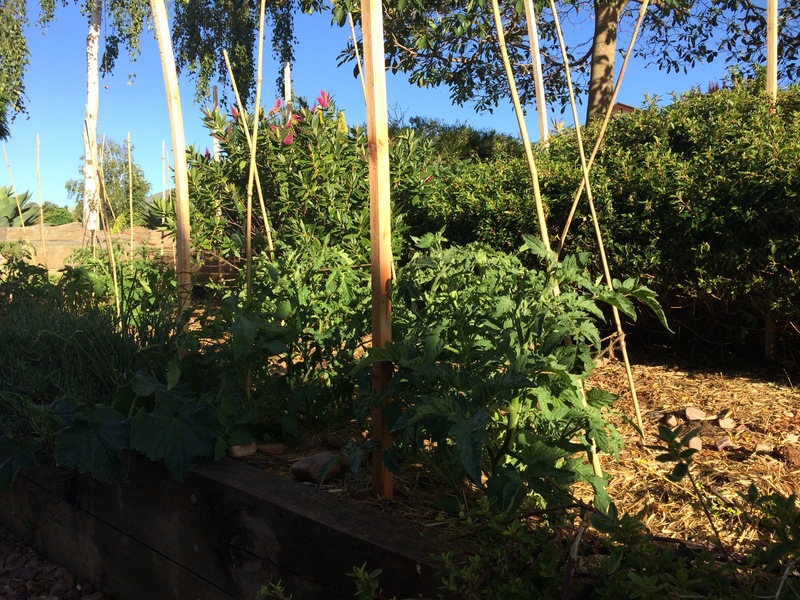 We’re the hippies of the hood perhaps, with our mostly native rambling front garden but I decided to forge on a bit further and gently introduce some vegetables as it’s a great growing site. 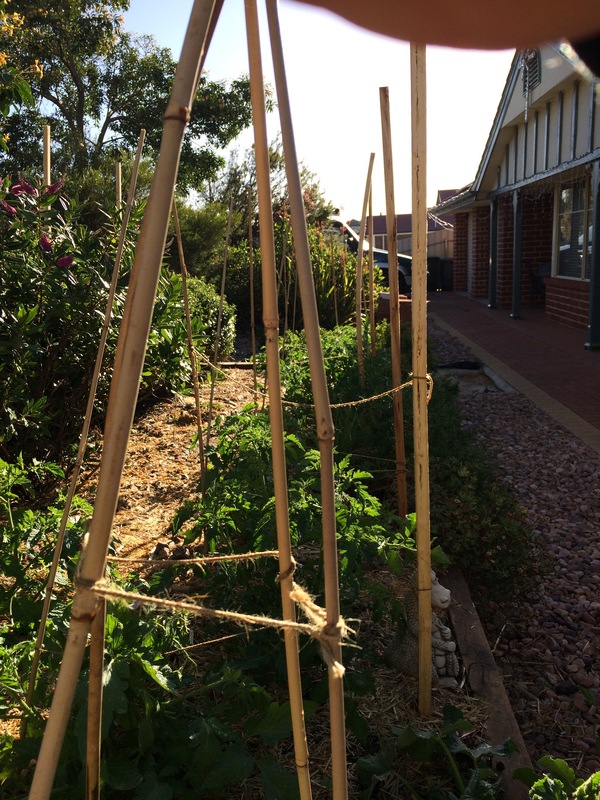 It’s a first for me in an Australian garden growing vegetables in the front (did it in the UK as we had a very small space). 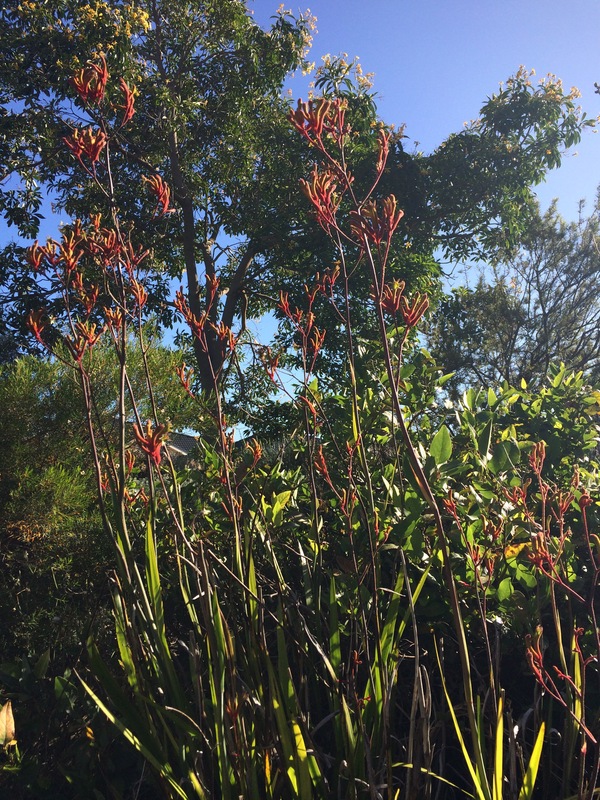 With wallaby and kangaroo grass seeding, flax lilly’s dainty clusters of nodding blue and yellow flowers, red and yellow kangaroo paw in flower and the sweet scent of native frangipani trees it’s a hot colour riot of sight and smell right now. A bee haven. Mingling scents of native frangipani, rosemary, lavender and lemon basil too. So why not even more diversity with some produce in the mix! The first adventures into mixing some veg into the front (we don’t have street verges alas!) was sacrificing a bed that had mainly herbs. 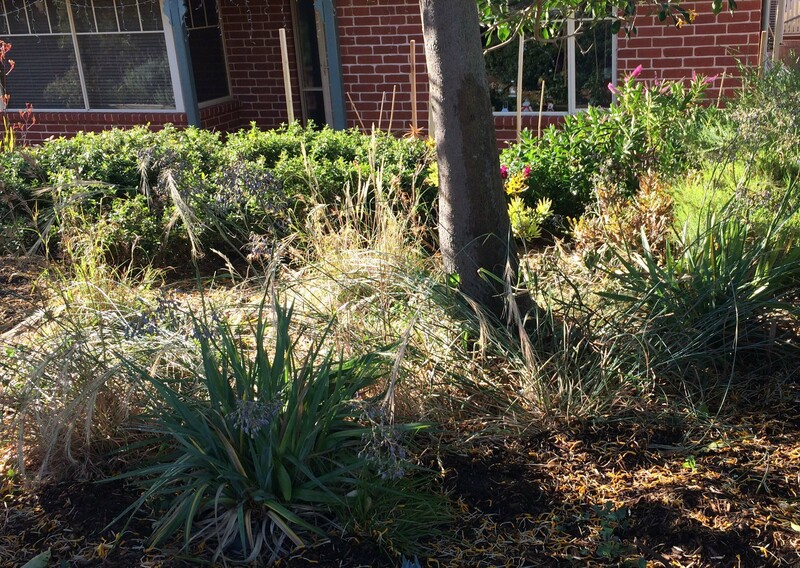 We inherited heavy clay soil in this front garden, so I took a patient year of soil prepping including worm castings, mushroom compost, direct deep composting of kitchen scraps first, before attempting any removal or planting. Removing the large woody herbs wasn’t too laborious once the soil had improved (previoulsy impossible baked into hard clay!) and the tomato seedlings have loved their freedom! 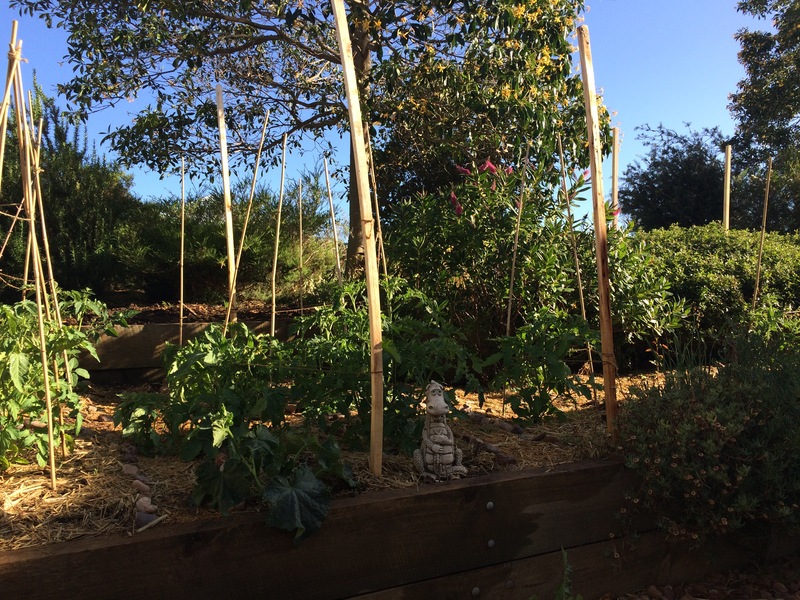 There will be more front veg planting to come, longer term plans for strawbale or timbercrete to replace wooden retaining walls – so much to do – and I’m converting a lawn at the back first – so my guess is this is it for a while in the front. But by tackling one small thing at a time – like a yield of heirloom tomatoes, which have always been challenging in my backyard raised beds, you find that you can slow down enough to think about design more, rather than just rushing in to plant and change everything all at once. It gives you time to observe. 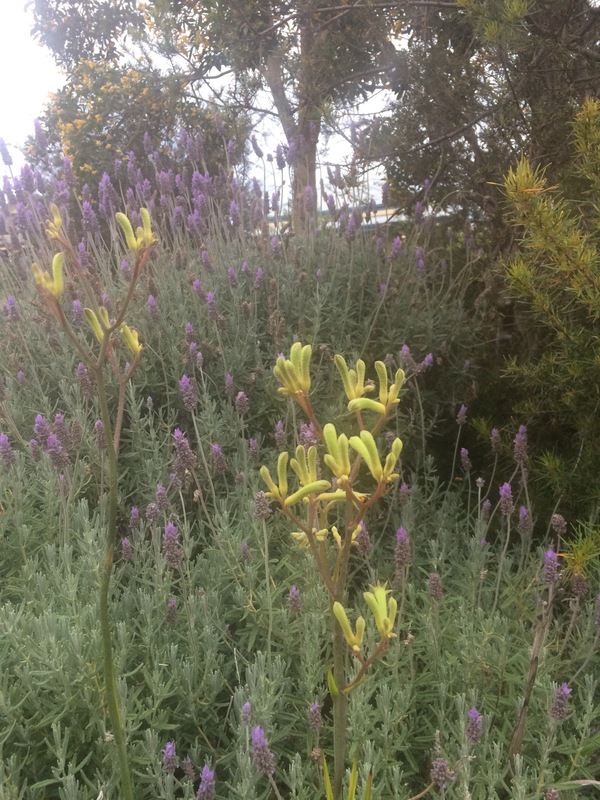 Yellow kangaroo paw on a backdrop of lavender.